The Ducks have spread their wings. 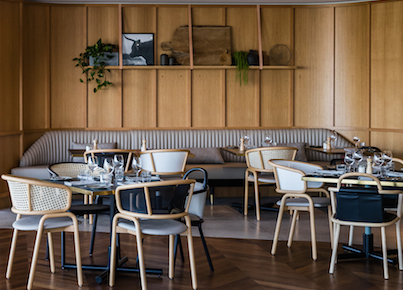 After the incredible success of their Bronte cafe, Mark LaBrooy, Darren Robertson and the rest of the Blue Ducks upped sticks and opened a new restaurant and produce store at The Farm in Byron Bay. Here, they have nurtured and built upon their garden-to-plate ethos to create real food that is locally sourced, reared humanely and supportive of the local community. At The Farm, the Ducks’ love for sustainable food is taken to the next level as they cook with the produce that is literally on their doorstep, creating new and exciting dishes while learning the ropes of farm life. This book is the sum of their adventures. 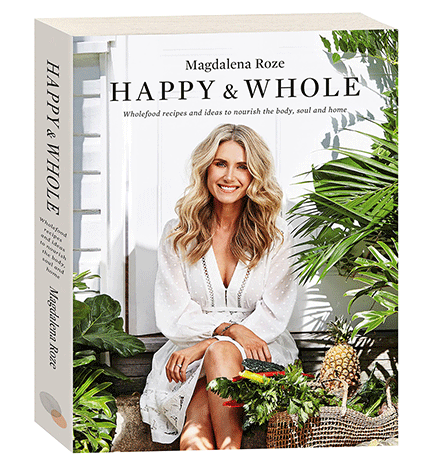 It is filled with the very best recipes that celebrate their love for good food: from simple salads and veggie dishes with bold flavours, to the ultimate barbecue recipes that will have you building your own fire in no time. 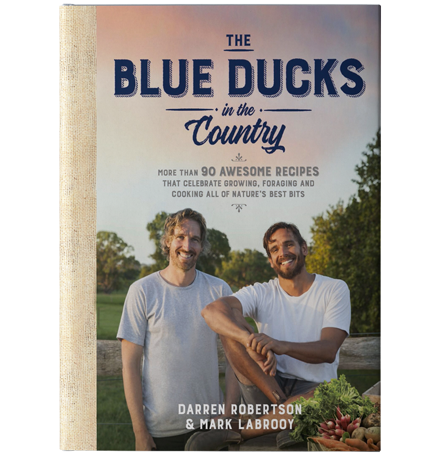 There are recipes for foraged foods that showcase the true bounty that the Australian land and coast have to offer, while the Ducklings chapter will keep the little ones quiet, even if just for a while. Those with a sweet tooth can indulge in the Ducks’ finest cakes and desserts from their sweets cabinet, and you can toast the success of your new culinary creations with some of the most inventive cocktails around.